I have been using Windows 7 for quite a few days now. But, I have come across several exciting stuffs. 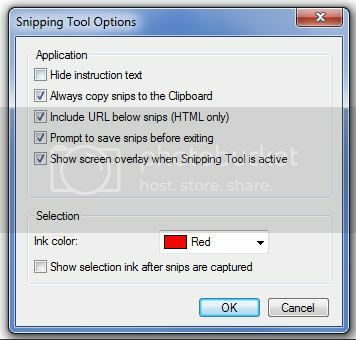 One awesome feature that I would like to share is the Snipping tool. 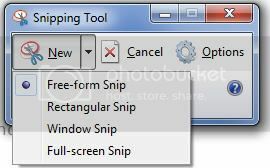 The snipping tool is a small tool in Windows 7 which allows you capture screenshots of your screen. It maybe your desktop, photo, document, error message, etc. Type Snipping tool in the Start menu search and hit enter. A small window will pop up which looks like the above. Click on the drop down menu next to new to select the type of snipping. Choose the portion you would like to capture. You can do this by right clicking and selecting the portion. Check out the one above, it’s a free form snip. 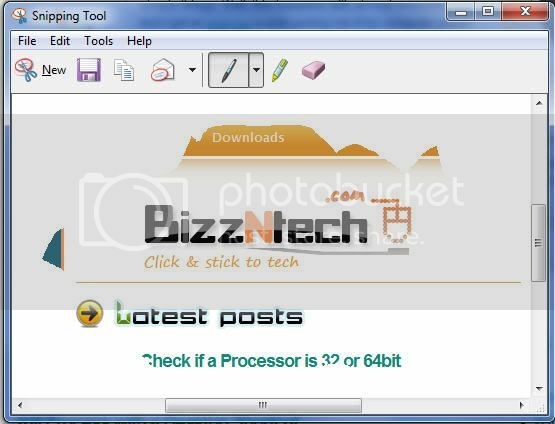 Click on File> Save the image in your desired format. You can also configure various options by clicking on the options button.